GENEVA, Switzerland, March 6, 2012 (ENS) – Close to nine out of every 10 people in the world now has access to clean, safe drinking water, finds a report issued today by UNICEF and the World Health Organization. 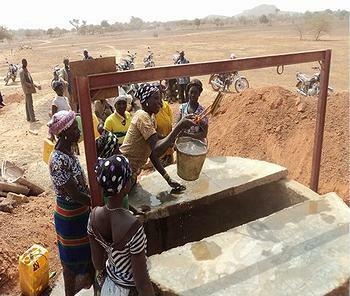 The new statistic means that the world has achieved the Millennium Development Goal of halving the proportion of people without access to safe drinking water in advance of the 2015 deadline. The safe drinking water target is part of the Environmental Sustainability Goal. Between 1990 and 2010, more than two billion people gained access to improved drinking water sources, such as piped supplies and protected wells. By 2010, 89 percent of the world’s population, or 6.1 billion people, used improved drinking water sources, exceeding the target of 88 percent. The eight Millennium Development Goals were agreed in September 2000 at UN Headquarters in New York. There, heads of all the world’s countries adopted the United Nations Millennium Declaration, committing their nations to a new global partnership to reduce extreme poverty and setting out the eight targets – each with a deadline of 2015. 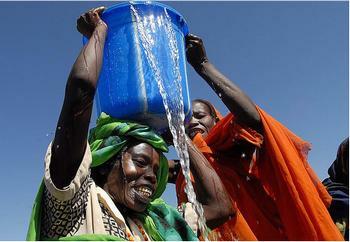 The new report, “Progress on Drinking Water and Sanitation 2012,” issued today by the WHO/UNICEF Joint Monitoring Programme for Water Supply and Sanitation, says that by the target date of 2015, 92 percent of the global population will have access to improved drinking water. Lake warned that at least 11 percent of the world’s population, 783 million people, are still without access to safe drinking water, and billions are still without sanitation facilities. The world is still far from meeting the Millennium Development Goal target for sanitation, and is unlikely to do so by the target date of 2015. Currently 2.5 billion people lack improved sanitation, the report shows. 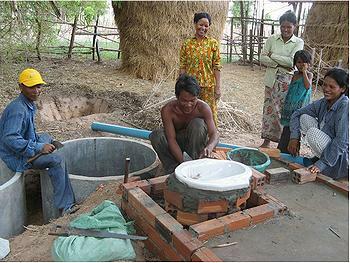 Only 63 percent of the world’s people now have improved sanitation access, a figure projected to increase to 67 percent by 2015. But that figure is still well below the 75 percent MDG target. UNICEF and WHO say that since the measurement of water quality is not possible globally, progress towards the MDG target of safe drinking water is measured through gathering data on the use of improved drinking water sources. WHO and UNICEF report that “immense challenges” remain. Global figures mask massive disparities between regions and countries, and within countries. Only 61 percent of the people in sub-Saharan Africa have access to improved water supply sources compared with 90 percent or more in Latin America and the Caribbean, Northern Africa, and large parts of Asia. 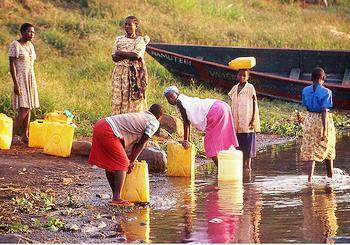 Over 40 percent of all people globally who lack access to safe drinking water live in sub-Saharan Africa. Where water supplies are not readily accessible, the burden of carrying water falls disproportionately on women and girls, the report confirms. In many countries, the wealthiest people have seen the greatest improvement in water and sanitation access, while the poorest still lag behind. In the rural areas of Least Developed Countries, 97 out of every 100 people do not have piped water and 14 percent of the population drinks surface water from rivers, ponds, or lakes. Of the 1.1 billion people who still practice open defecation, the vast majority live in rural areas. For instance, 17 percent of rural dwellers in Latin America and the Caribbean and nine percent in Northern Africa still resort to this practice. Even the BRIC countries, with rapidly growing economies, have large numbers of people without access to improved sanitation: 626 million in India, 14 million in China, and 7.2 million in Brazil, the report finds. The UNICEF/WHO Joint Monitoring Programme publishes a report every two years which updates the progress made towards reaching the MDG target for drinking water and sanitation. Click here for more information about the Millenium Development Goals.